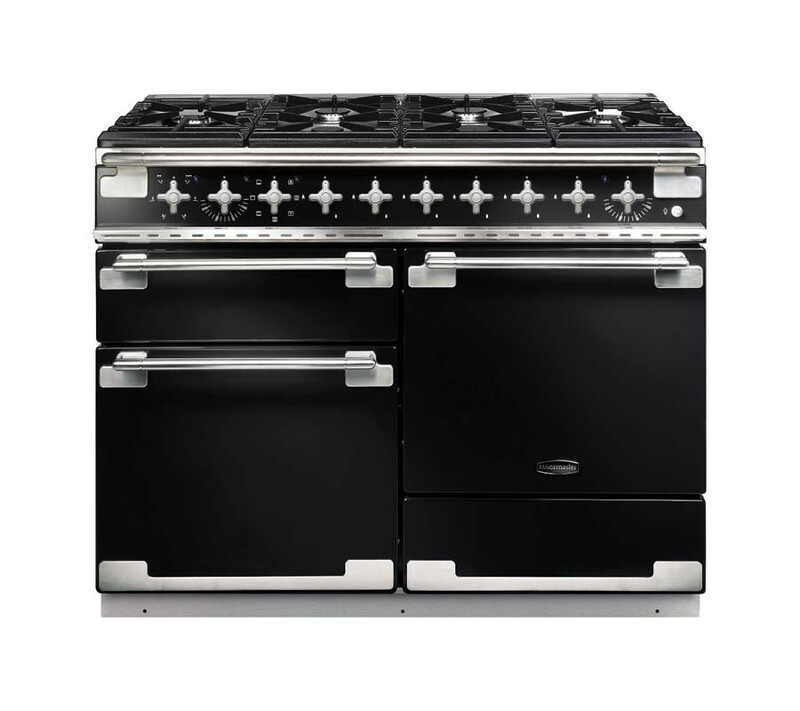 The Rangemaster Elise 110 Dual Fuel Black Range Cooker runs on duel fuel technology. Available in simple, elegant black chrome trim the Rangemaster Elise 110 Dual Fuel Range Cooker is a full size range that provides a six burner hob, a multifunction oven with 73 litre capacity, and an electric fan oven with a similarly impressive 73 litre capacity. The Elise 110 Black range cooker is a signature Rangemaster product. It comes with the highest quality design and production and is filled with impressive features such as a dual circuit electric grill, a wok cradle and a unique browning element.